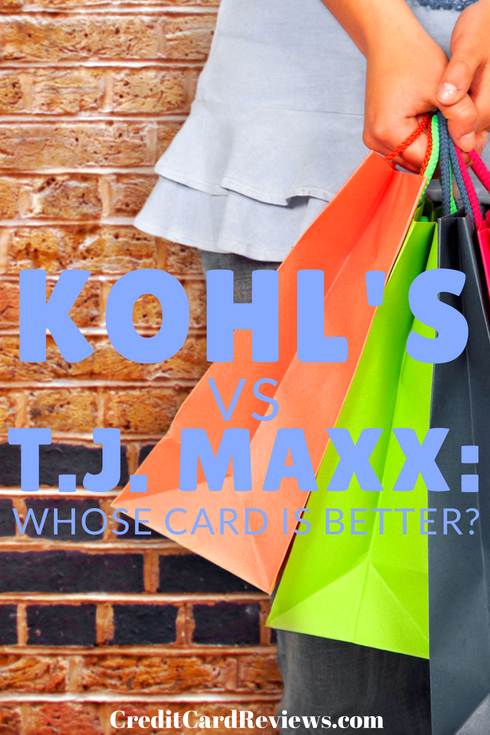 Kohl’s v. T.J. Maxx: Whose Card Is Better? If you shop frequently for clothes and accessories at some of America’s major retailers, you probably are aware of T.J. Maxx and Kohl’s. Both companies offer credit cards that provide benefits for frequent shoppers. Let’s check them out and see if one store’s card is a better choice than the other. There are two card options in the TJX family of companies. The TJX Rewards store card can be used at T.J. Maxx, Marshalls, HomeGoods, and Sierra Trading Post stores. The TJX Rewards Mastercard can be used anywhere Mastercard is accepted. Both cards earn five points for each dollar spent at these stores or the affiliated websites. 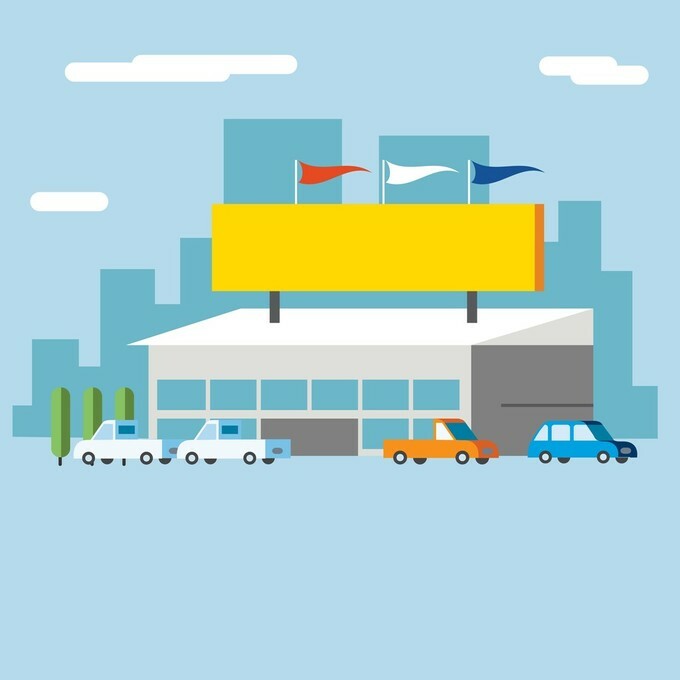 The Mastercard earns one point for each dollar spent at other locations. Points never expire and there is no limit on the amount that can be accumulated; however, they are automatically converted into gift certificates at the rate of 1,000 points per $10 certificate, and certificates do expire 24 months after issuance. Besides the rewards program, TJX card members get invitations to private shopping excursions and other in-store giveaways and experiences. Tjmaxx.com and sierratradingpost.com both offer early access, free shipping, and shopping events that are for TJX rewards members only. The company also lets rewards members know when shipments of new products have arrived at stores; customers who aren’t signed up for the rewards program are not eligible for this inside information. Both TJX Rewards cards come with very pricey interest rates that are close to the default rates of other cards; so you definitely don’t want to carry a balance on either one. On the positive side, neither card charges an annual fee. Either TJX Rewards card may come with a sign-up bonus, such as a discount on your first purchase either in store or on-line. Now let’s take a look at what Kohl’s offers. There is no co-branded card available; so there is just the store card. Like the TJX cards, the Kohl’s card comes with no annual fee but has a very steep APR. The regular interest rate is actually close to the default APR; so once again, it is advisable not to carry a balance. Like T.J. Maxx, Kohl’s offers a discount with your first purchase. Before you make a decision on one or the other, be sure to compare the two offers. Kohl’s may offer a larger discount. The Kohl’s card can be linked to the company’s Yes2You rewards program. One point is earned for every dollar you spend, although obviously non-Kohl’s stores aren’t eligible. Points expire in one year. One hundred points can be converted into $5 rewards cash to be used in Kohl’s stores. That’s a 5% ratio, the same proportion that the TJX store card offers. Unlike the TJX card, however, rewards certificates from Kohl’s expire in just one month. The Kohl’s store card comes with twelve special offers each year. Because there are twelve of them, one has to suspect that they’re not very lucrative. There is a separate anniversary gift once per year. Kohl’s operates something called the Most Valued Customer (MVC) program. After you charge $600 to your Kohl’s card, you receive an additional six special offers each year, a $10 birthday gift certificate, and free shipping events. The program operates on a calendar year basis, so you have to charge an additional $600 sometime after January 1st to be eligible for these benefits. Both retailers fail to provide impressive card benefits with low interest rates. They both attract a similar clientele and offer the same type of products at similar prices. Because neither card in our survey has an annual fee, perhaps the best choice would be the T.J. Maxx Mastercard, which can be used at millions of locations. That’s about the only positive attribute we can find in this review.